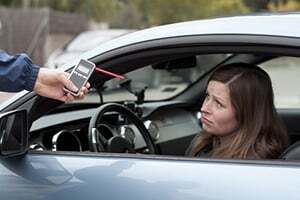 A driver’s arrest for a DUI offense in Beverly Hills is the first stage of the Beverly Hills DUI process, which can include a criminal case that proceeds in court as well as the DMV administrative hearing pertaining to the driver’s driving privileges. There are various different stages of the DUI process in Beverly Hills and retaining an attorney as soon as possible is critical. For those who have never been arrested before, the DUI process in Beverly Hills can be overwhelming and intimidating and being represented by an experienced Beverly Hills DUI Lawyer can be crucial. Increasingly, law enforcement agencies operating in and around the Beverly Hills area will conduct DUI checkpoint operations, which have been found to be legally valid in California. While most DUI arrests occur after an officer observes a driver commit a violation of the Vehicle Code, checkpoint operations allow police to stop and briefly investigate all drivers passing through a specific, predetermined location. These checkpoint operations must comply with the strict legal guidelines set forth by the California Supreme Court and failure to comply with the guidelines set forth for checkpoint operations may invalidate all resulting DUI arrests. Many drivers in Beverly Hills do not realize that not only is it against the law to drive with a BAC of 0.08 percent or higher, but it is also illegal to refuse DUI testing when lawfully requested by a peace officer. 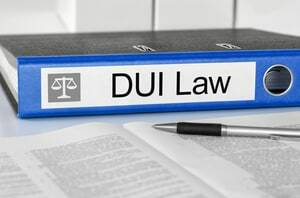 DUI refusals carry harsher criminal penalties and those who refuse testing will lose their driver’s license for a minimum of a year, during which they would not be eligible for a restricted license. There may be valid defenses to a DUI refusal and a skilled Beverly Hills DUI Attorney can challenge the DUI and the refusal allegation in court and before the DMV. Court penalties on a Beverly Hills DUI Offense can include jail time, a driver’s license suspension or revocation, community labor and/or community service, probation, a required alcohol education class and expensive fines among other things. Court penalties will often depend on the factual circumstances of the defendant’s case; and aggravating factors such as prior DUI convictions, DUI test refusal, a high BAC or a collision can result in increased DUI penalties. A Beverly Hills DUI offense that results in injury to another person is treated very seriously by law enforcement, prosecutors and judges and DUI with Injury can be charged as either a felony or a misdemeanor. Someone convicted of a DUI with injury offense can be sentenced to jail or even prison and would be required to pay restitution to the victim for any damages caused. A person convicted of DUI with injury will face a driver’s license suspension of at least a year and would face many other mandatory sentencing provisions. Vehicular Manslaughter while under the influence is a serious felony-level crime and those convicted of this offense can face extensive criminal penalties, including a lengthy prison sentence. When a person loses his or her life as a result of a DUI collision, the impaired driver can be charged with vehicular manslaughter while under the influence, which is a “wobbler” offense, or gross vehicular manslaughter under the influence which is always a felony. Judges and prosecutors take these offenses very seriously and a person can be charged with a vehicular manslaughter offense while under the influence if they were under the influence of alcohol or drugs, including lawful prescription drugs. 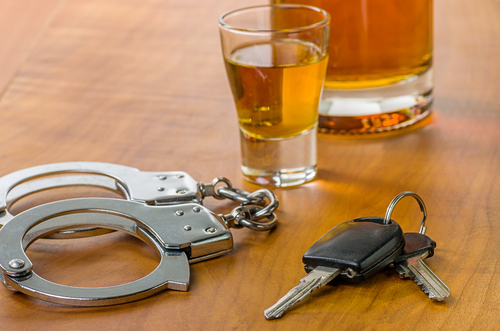 When a DUI collision results in the death of another person, there are circumstances in which the driver can be charged with DUI Murder, also known as Watson Murder. If the defendant had previously been informed about the inherent dangers of impaired driving and ignored these dangers when he or she chose to drive while impaired, the prosecution can charge the defendant with murder. Typically, defendants who have had prior DUI convictions during which they were formally read the “Watson advisement” will be charged with DUI murder instead of manslaughter for a subsequent fatal DUI collision. Defendants convicted of DUI murder can be sentenced to serve 15 years to life in state prison. Many of the people who are arrested for a Beverly Hills DUI offense are from another state or hold an out-of-state driver’s licenses. A California conviction or DMV administrative action can have effects on the person’s driving privileges in his or her home state. In most cases, a skilled Beverly Hills DUI Lawyer can make all court appearances on behalf of a client who lives out of state so that person would not have to travel back to California. In Beverly Hills, it is against the law to drive a motor vehicle with a blood alcohol concentration above the 0.08 percent legal limit. Police can determine a driver’s BAC by performing either a breath or blood test designed to measure alcohol concentration. In addition to court penalties, a driver who has a BAC of 0.08 percent or higher will face an administrative driver’s license suspension from the DMV. DUI offenses are treated very seriously in Beverly Hills and those who are convicted can face a number of different criminal penalties, including jail, community service/community labor, fines and other terms and conditions of probation. A person can be convicted of a Beverly Hills DUI offense if he or she is found to have been under the influence of drugs at the time of driving. This includes illegal street drugs such as heroin, cocaine and ecstasy as well as lawfully prescribed painkillers, anti-anxiety medications and certain sleep aids that cause impairment in drivers. There is no approved breath test that can measure drug intoxication so drivers in Beverly Hills who are suspected of driving under the influence of drugs would have to provide a blood sample. When a driver is stopped in Beverly Hills on suspicion of driving under influence of drugs or alcohol, the arresting officer will ask the driver to participate in a series of field sobriety tests designed to determine whether or not the driver is impaired. These tests are voluntary and can be affected by a variety of factors, such as the weather, lighting and road conditions. The driver may have other medical conditions that affect the results of the field sobriety tests and which also may be misinterpreted by the officer conducting the test. 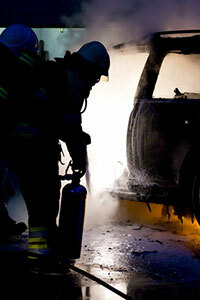 When investigating a suspected DUI driver in Beverly Hills, an officer will look for various symptoms of intoxication. These include the smell of alcohol, bloodshot and watery eyes, balance issues and slurred speech. In addition, the officer will also take the suspect’s driving conduct into consideration and whether or not the driver appeared to be under the influence of drugs or alcohol. If drug intoxication is suspected, a specially trained Drug Recognition Expert officer will be called to assist in the evaluation. 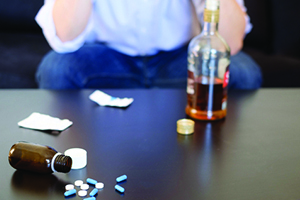 In many cases, the observed symptoms of intoxication may have been caused by something other than drug or alcohol intoxication and a skilled law firm can challenge the officer’s observations in court. In Beverly Hills, a driver suspected of driving under the influence of alcohol may be asked to provide a breath sample on the officer’s preliminary alcohol sensor (“PAS”) device during the DUI investigation. If the driver is ultimately arrested for DUI, he or she would be given the option of taking the breath test on the Breathalyzer machine that it typically housed at the police station. The breath test results are a critical part of any DUI prosecution and are used to show that the driver’s BAC was above 0.08 percent. 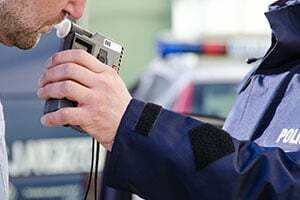 When a driver is arrested on suspicion of a Beverly Hills DUI offense, he or she will be given the option of taking either a breath or blood test. The blood test is the only option available to drivers who are suspected of driving under the influence of drugs, as there is no breath test that can measure for drug impairment. 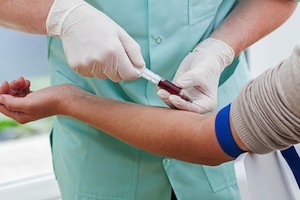 The blood test results are not immediately known and the testing must be conducted by a licensed medical professional and then sent to the crime laboratory for analysis. During a Beverly Hills DUI investigation, an officer may ask the driver to provide a breath sample on his or her portable preliminary alcohol sensor (“PAS”) device that is carried in the field. For drivers who are 21 and older and who are not on DUI probation, this test is voluntary. The results of the PAS test can be used as evidence to show that a driver was under the influence of alcohol and can later be presented in court. 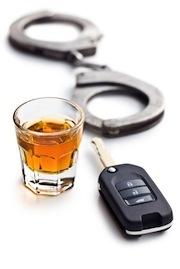 Even if the driver refuses the PAS test or has a “zero” result, he or she could still be arrested on suspicion of DUI if the officer feels there is other evidence of intoxication. California has a “zero tolerance” law in respect to underage drivers. This means that drivers under the age of 21 in Beverly Hills who are found to have any measurable amount of alcohol in their system can face a yearlong driver’s license suspension, during which they would be unable to have a restricted license. 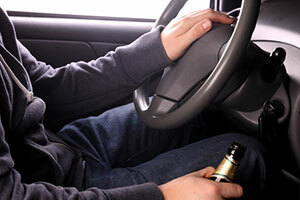 In addition, the driver can be charged criminally with a DUI offense. 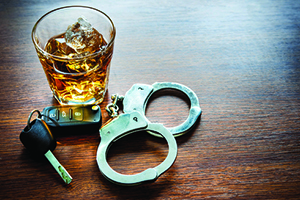 Judges and prosecutors tend to be tough on underage DUI offenders and a driver under the age of 21 who is convicted of DUI may have to comply with numerous terms and conditions of probation. 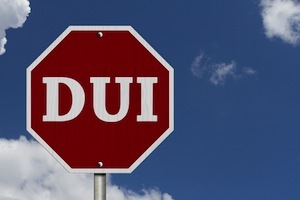 When a driver is arrested for DUI in Beverly Hills, the arrest is communicated to the California DMV who will issue an administrative driver’s license suspension that goes into effect 30 days after the arrest. In order to contest the suspension, the driver must file a request for a hearing within ten days. The DMV administrative hearing is conducted independently of the criminal court case and is heard by a DMV hearing officer who is neither a prosecutor nor a judge. The administrative hearing operates under its own set of policies and procedures and a driver is allowed to be represented by an lawyer at the hearing, which is highly recommended. After a Beverly Hills DUI arrest, the California Department of Motor Vehicles will be notified of the arrest. The DMV will issue a driver’s license suspension based on the DUI arrest that begins 30 days after the arrest. The driver can challenge the suspension by requesting an administrative hearing within 10 days of his or her arrest. 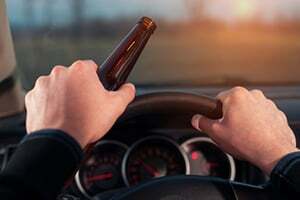 Regardless of what happens in court, the DMV can proceed with the license suspension if the driver is found to have had a BAC of 0.08 percent or higher at the time of driving. Unlike the Court system, the DMV only takes actions against drivers found to have a BAC of 0.08 percent or higher and will not issue an administrative license suspension for drivers who test positive for drugs and not alcohol. When a driver is arrested for a Beverly Hills DUI offense, the arresting officer will communicate the arrest to the California DMV and will seize the driver’s license. The driver will be provided with a temporary license that is good for 30 days, after which a minimum four-month driver’s license suspension will go into effect. The driver can fight the administrative suspension but must request a DMV hearing within ten days of the arrest in order to do so. Even if criminal charges are rejected or reduced in Court, the DMV administrative case will proceed if the defendant had a BAC of 0.08 percent or higher. 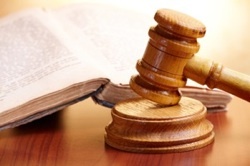 The driver can have an attorney handle the DMV administrative hearing, which is recommended. Anyone convicted of a Beverly Hills DUI offense will be required to complete an alcohol education class at a state approved provider. This class is also required by the DMV as a perquisite to getting a restricted license and having one’s driving privileges fully reinstated. For first time offenders, the class may be three, six or nine months long depending on the facts of the case. Defendants with multiple prior convictions may be required to take an 18-month or 30-month class that is more intensive. 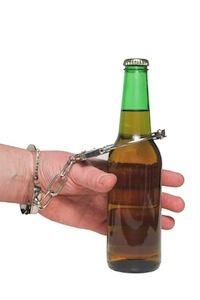 Failure to complete the alcohol class can result in a probation violation. In Beverly Hills, there are a number of different penalty enhancements that can increase the punishment assessed on a defendant’s DUI conviction. 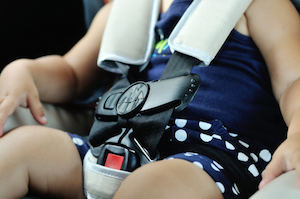 Under California Vehicle Code Section 23572, having a minor child under the age of 14 in the vehicle at the time a DUI offense occurred can result in additional mandatory jail time upon conviction. In addition, the defendant can also be charged separately with child endangerment under California Penal Code Section 273(a) and may face an investigation from the Department of Public Social Services (“DPSS”). There are several different penalty enhancements that can be used to increase the punishment for defendants convicted of a Beverly Hills DUI offense. If the defendant was driving at an excessive speed or had a minor under the age of 14 in the vehicle, he or she may face mandatory jail time if convicted of the underlying DUI crime. 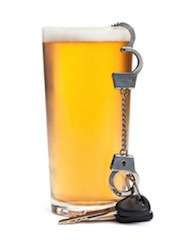 If the defendant had prior DUI or wet reckless convictions occurring within the previous ten years, the defendant will face heightened penalties including mandatory jail time, an 18-month alcohol education class and a longer license suspension and/or revocation. 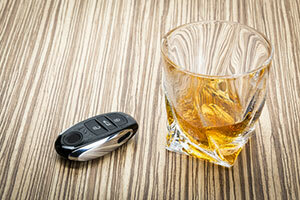 A driver’s fourth DUI offense within ten years can be charged as a felony punishable by prison. 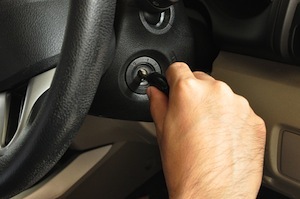 Anyone convicted of a DUI offense occurring in Beverly Hills would be required to have an ignition interlock device (“IID”) installed into their vehicle as a result of Los Angeles county’s participation in the DMV Pilot Program. The IID is installed into a vehicle and will render the vehicle inoperable if the driver is unable to provide an alcohol-free breath sample. A driver would be required to have an IID in his or her vehicle for five months on a first time DUI offense and a year on a second DUI. Failure to comply with the IID requirement can result in additional criminal charges. Those who have been arrested for a Beverly Hills DUI offense often ask about what effect a DUI will have on their auto insurance rates. 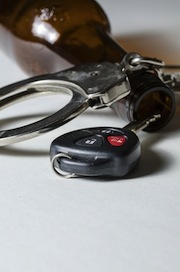 A DUI conviction does add two points to a driver’s record and a driver would lose his or her “good driver” discount as the result of a DUI conviction. The driver’s insurance rates may go up substantially. In addition, the DMV will require anyone who has been convicted of DUI or who has had their license suspended administratively to obtain a supplemental insurance police (SR-22) in addition to their regular car insurance. There may be a number of different defenses available to a driver accused of refusing to comply with chemical testing in Beverly Hills. In many cases, the officer’s instructions may have been unclear or the driver may have been unable to understand the officer’s reading of the refusal admonition. The driver may have been suffering from a medical condition that prevented him or her from understanding or agreeing to chemical testing. 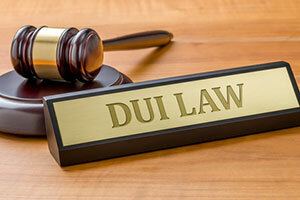 DUI refusal allegations add mandatory jail time to any underlying DUI sentence and having a knowledgeable and experienced DUI attorney can be critical in fighting a refusal allegation in court or before the DMV. When a defendant is placed on probation for a Beverly Hills DUI offense, he or she is expected to complete the various terms and conditions of probation and to commit no new offenses. If the defendant misses a deadline, fails out of his or her alcohol education class or is charged with or even just arrested for a new criminal offense, the Court can issue a probation violation. A warrant may be issued for the defendant’s arrest and the Court would address the violation. The judge may place the defendant back on probation with additional terms, such as jail time or community labor, or the judge can revoke the grant of probation and sentence the defendant to jail. In a Beverly Hills DUI case, there may be circumstances where the prosecution would consider allowing the defendant to plead to a reduced charge such as wet reckless, reckless driving or exhibition of speed. 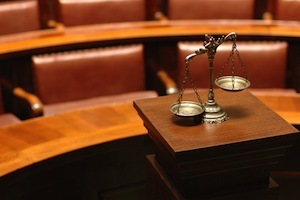 The prosecution may consider this when there are problems of proof with the case or other mitigating factors that would justify the reduction. Being represented by an experienced DUI attorney can be critical in getting the prosecutor to consider reducing DUI charges. In many cases, a conviction for a reduced DUI charge will not carry the same effects and consequences as a DUI conviction.